Topped Off is a site-specific installation planned specifically for Alfred Gallery. 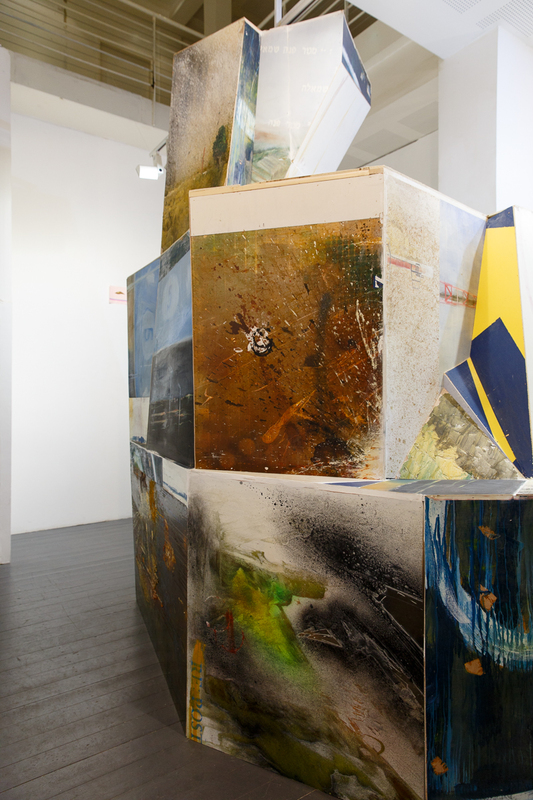 It expresses a desire to transform the concepts "vision" and "failure" into actual physical environments that share a concrete physical space with the viewer. Upon entering Alfred Gallery, the visitors will face a four-meter high mountain built of wooden beams and of paintings by the artist. The top of the mountain - abruptly cut close to the ceiling - was separated from its body and placed on the floor in an adjacent room. On the walls, a horizontal line will be projected using a laser level, which will position the observation point of the observer 'above' the summit. 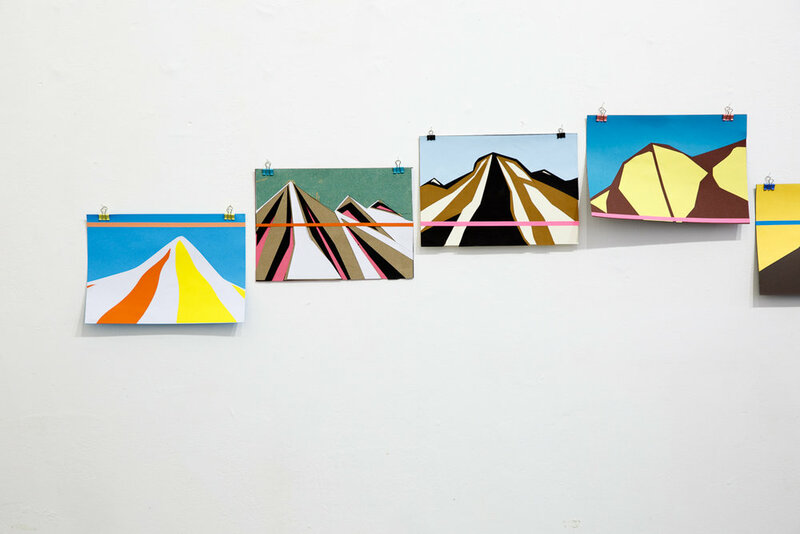 Works on wooden boards and MDF will be installed on the gallery's walls, in addition to a series of colored paper cuts. 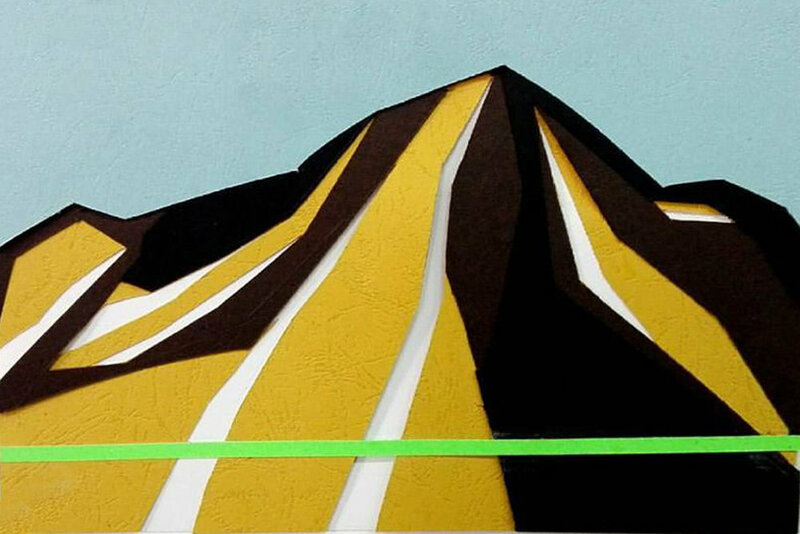 The image of the mountain peaks, which is repeated in all of the works, signifies the conceptual axis of the exhibition, which deals with issues of weight/ value, presence, effort and liberation. 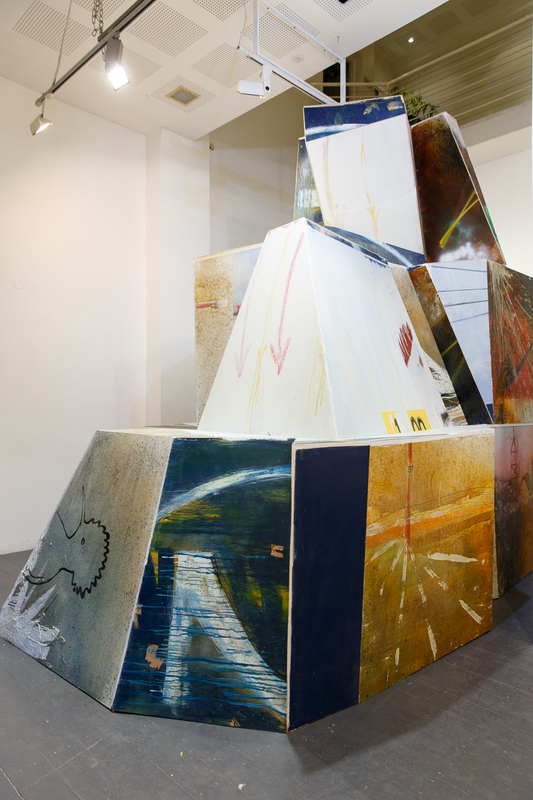 The mountain that will be at the center of the exhibition was built mainly from remnants of paintings that the artist created over several years. Some of them were exhibited in various exhibitions; most of them were stored in the studio and collected a beautiful layer of dust and thoughts. In the current project, Batson is using everything he has - not only the production capabilities he developed as he gained experience producing large sculptural projects, but the body of his own works. The challenge he has set for himself paradoxically becomes a kind of grand catalog of personal failures. Uri Batson works in Tel Aviv-Jaffa, and is a graduate of the art department at Hamidrasha School of Art, Beit Berl Academic College. 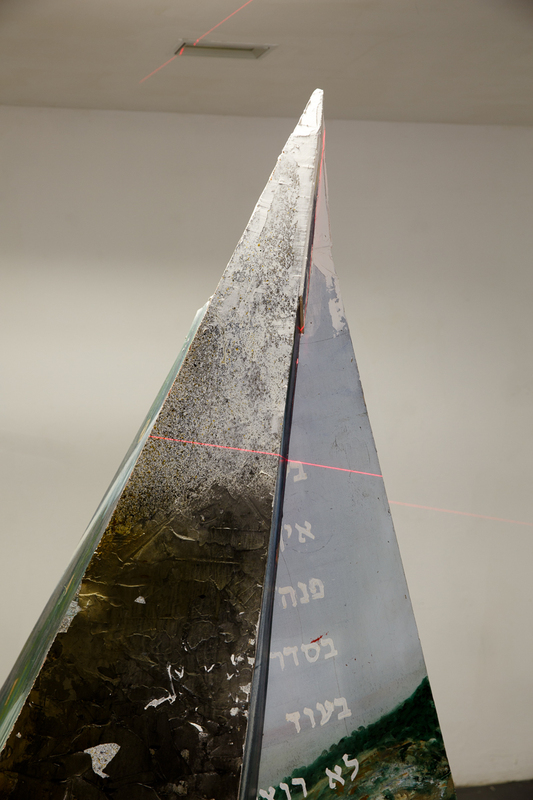 He has exhibited the solo exhibitions Tic Tac Toe (2015), Grand Art, Haifa (Curator: Shirley Meshulam), The Essential Opposite (2014) at Gabirol Gallery, Tel Aviv, and group exhibitions in Israel and the USA. His works are in private and public collections in Israel. This exhibition will be the second of 2018, which will consist entirely of exhibitions revolving around the theme 'Vision and Failure'. By dealing with the chosen subject, Alfred Gallery seeks to expand the field of meanings that are embedded between the words: vision, success, failure, intent and improvisation, raise questions about the factors that define these concepts, and break up centers of power.